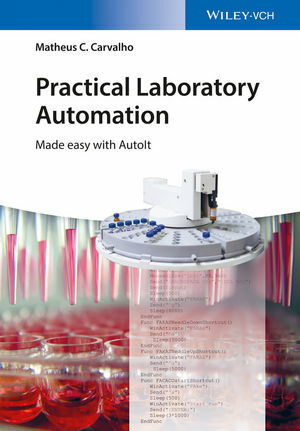 By closing the gap between general programming books and those on laboratory automation, this timely book makes accessible to every laboratory technician or scientist what has traditionally been restricted to highly specialized professionals. Following the idea of "learning by doing", the book provides an introduction to scripting using AutoIt, with many workable examples based on real-world scenarios. A large portion of the book tackles the traditionally hard problem of instrument synchronization, including remote, web-based synchronization. Automated result processing, database operation, and creation of graphical user interfaces are also examined. Readers of this book can immediately profit from the new knowledge in terms of both increased efficiency and reduced costs in laboratory operation. Above all, laboratory technicians and scientists will learn that they are free to choose whatever equipment they desire when configuring an automated analytical setup, regardless of manufacturers suggested specifications. Matheus Carvalho de Carvalho, PhD, is a Senior Research Associate at Southern Cross University, Australia. His diverse research interests include employing stable isotopes to investigate algal photosynthesis and respiration, and developing customized and low-cost automated analytical approaches. He is member of the editorial board of the journal HardwareX, and a member of the Society for Laboratory Automation and Screening.